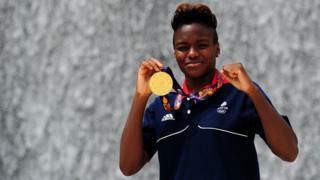 When reigning Olympic flyweight boxing champion Nicola Adams steps into the ring at Rio 2016 she will know exactly which tactics to deploy to ensure that she wins every fight. Likewise, when German sailor Philipp Buhl takes to the water, he will be able to predict accurately how the current will affect his boat as he whips along Rio's Guanabara Bay. This is because technology - and data analytics in particular - has made great strides since London 2012. "Real-time data analytics may not seem like a big leap from an innovation point of view, but it has the potential to enable yet more records to be broken in 2016," says Dr Helen Meese, head of healthcare at the Institution of Mechanical Engineers. Data collection and analysis is having an impact on almost every sport. For example, Team GB's boxers have benefited from this type of analysis, using "iBoxer" software developed in conjunction with Sheffield Hallam University. The performance analysis system makes use of a wealth of data on Team GB's boxers and their opponents, including detailed fight analysis that reveals threats and opportunities for the fighters, helping them refine their tactics. And the Australian Institute of Sport (AIS) has co-developed a database in which Australia's National Sporting Organisations closely monitor approximately 2,000 athletes each week. "In athlete groups where there is really high engagement with data entry, we have been able to provide coaches with advice on training loads that have seen a reduction in injury and illness," says Nick Brown, deputy director, performance science and innovation, at the AIS. "The tech part of this solution is the database, smart data analytics, and in some cases, the use of wearable sensors to bring in training data." Professor Steve Haake, director of Sheffield Hallam's Advanced Wellbeing Research Centre, has been working with UK Sport since 2000. He says his team's work has moved increasingly towards this kind of data-driven performance analysis. For example, in cycling there is less need to focus on the mechanical aspects, he says, because "bikes are optimised now - they have bearings and gear sets which are 99% efficient". Instead, "most of the work we have done in the last two Olympiads has been interrogating how well these things actually work when you get out there in the field. "It's about data acquisition and complex databases that draw information from lots of places," Prof Haake says. Team USA track cyclists have even been interrogating live data during training using augmented reality glasses developed by Solos. Data collected from bike sensors, such as power, speed and pedal revolutions, are beamed wirelessly to the cyclist's glasses via IBM's cloud platform. As the athletes pedal furiously they can view their key stats without taking their eyes off the track. "With the ability for the athlete to receive real-time feedback via the Solos smart glasses, they can now adjust on the fly," says Ernesto Martinez, a director at Solos. "For example, if Sarah [Hammer] or Kelly [Catlin] need to meet a specific lap time or power metric during an exchange or portion of the race, they will be able to see whether they are hitting the mark or not and adjust accordingly. "This real-time feedback and adjustment capability will enable faster riding times." But the cyclists will not be able to wear the glasses during the Games themselves. Sports the world over are looking to other industries for inspiration, not least the technology and engineering sectors. For example, Sailing Team Germany (STG) partnered with business software firm SAP in 2011 in an effort to arrest the nation's decline in the sport after Sydney 2000. "The goal is to develop technology that helps the sailors train better, perform better and learn quicker," says Marcus Baur, STG's head of technology. A key component of this is building virtual models based on real data, enabling tricky, ever-changing conditions such as currents and wind to be analysed. Image caption ...but will coaches learn to trust the data? "Rio's Guanabara Bay is tidal, which creates a repetitive pattern which we can analyse and draw predictions from," says Mr Baur. "We did more than 3,000 measurements of the Bay to build a tide model and we now have it available at the Olympics." But coaches and athletes must learn to trust the data, he believes. "In the final race at the World Championships in Spain in 2014 [German sailor, Philipp Buhl] had access to the information but the coach didn't trust it - our tide model recommended for him to go in one direction and he went in the other direction and lost," says Mr Baur. "Sailors will trust the model a lot more this time around." Technology is also having an impact on Paralympic sport. For example, BAE Systems - more associated with the aerospace industry - has worked with UK Sport to enable British wheelchair athletes to achieve a 20% increase in acceleration through different racing positions. And US-based design software company Autodesk has been working with German para-cycling champion Denise Schindler to create a 3D-printed polycarbonate prosthetic leg that delivers improved power output for Rio 2016. "We've been able to create something that is much more lightweight and even more aerodynamic," says Paul Sohi, UK product designer at Autodesk. But does access to the best technology give richer countries an unfair advantage? "Sport lives from the creation of a level playing field on which different people can compete, and if it is just a question of having the right technology bought by the biggest pay cheque then it doesn't make sense," says Mr Baur at STG. Prof Haake says it is up to each sport to decide how much technology it wants to allow, but that it is human nature to "want to see some kind of improvement". Unfortunately, this desire for competitive advantage has been all too evident in the recent doping scandals. It will be up to the sporting authorities to decide how much tech is too much.